I hope everyone has had a great Monday. Thanksgiving is just a little over a week away, which also means my birthday is just around the corner (I was a day before Thanksgiving baby) yay me! Anyways enough about me. 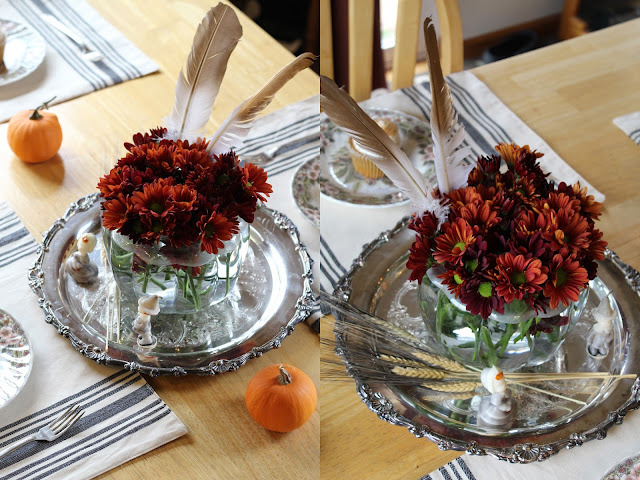 BloomNation has inspired me to share my ideas on tablescapes for the season, so today I thought I would share with you an easy Thanksgiving Day table design. If you haven't heard of them before, they are a flower delivery service that supports local florists through their online marketplace. To decorate my table for this Thanksgiving I used beautiful Mums in gorgeous fall hues. 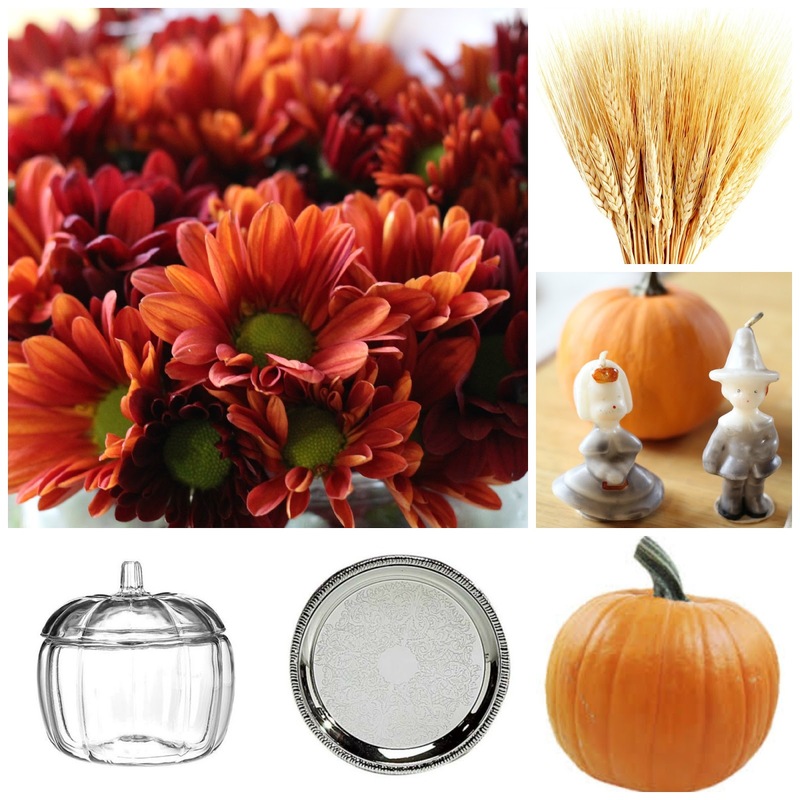 I displayed them in a lidded glass pumpkin candy dish ( of course you'll need to take the lid off.) I then placed that on a Vintage silver tray. You can find these at Thrift stores and Vintage shops. 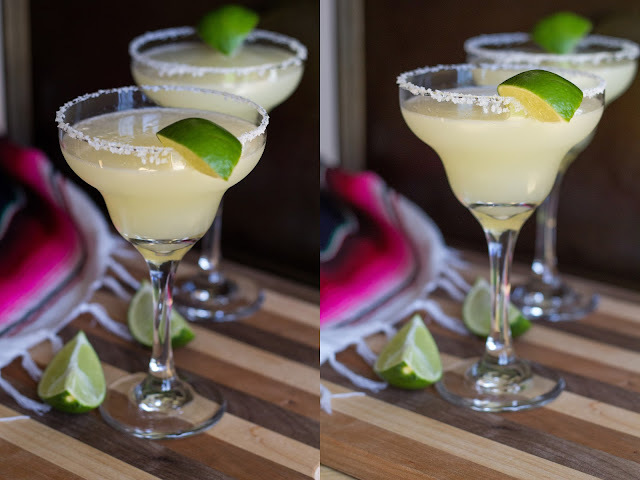 And if you can't find one where you live party stores sell silver plastic trays that would work just fine. Along with the flowers I placed two Vintage pilgrim candles and some dried wheat. You can find the pilgrims like the tray at Vintage shops and thrift stores, or online at Etsy or Ebay. 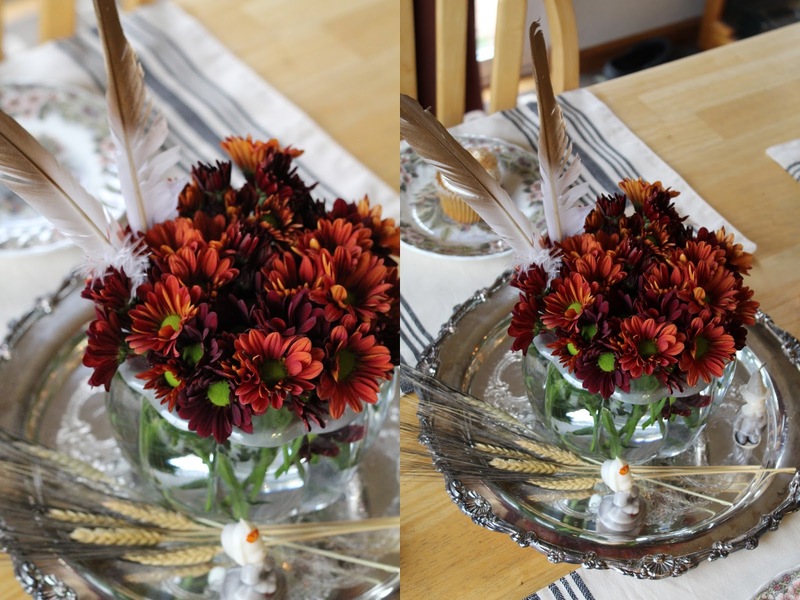 I then placed white Turkey feathers that I sprayed with gold spray paint into the flower arrangement. 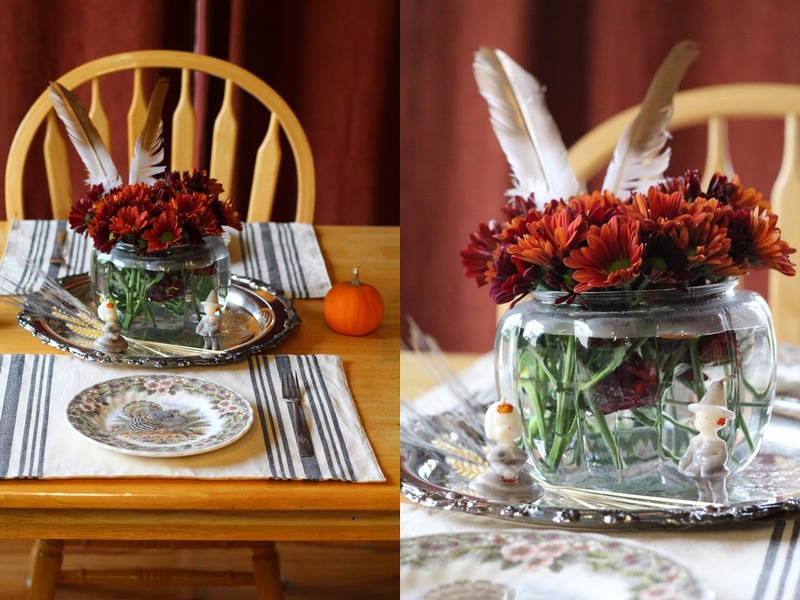 I hope this post gives you some ideas on how to style your holiday table this year. If you don't have the time to create your own table floral display then you can head over to the site BloomNation and buy your own beautiful fall display. Or even if your not looking to buy a flower arrangement for yourself check out there site for Holiday gifts and or inspiration. Pretty pleasing table décor! My sister arranged a cute festive party on her son's baptism eve few days back. Ornamental wreaths everywhere on corners of event venue Atlanta looked pretty. Blue and gold were the colors used for gift hangings. Luncheon was of high quality and cup cake buffet stations were great.